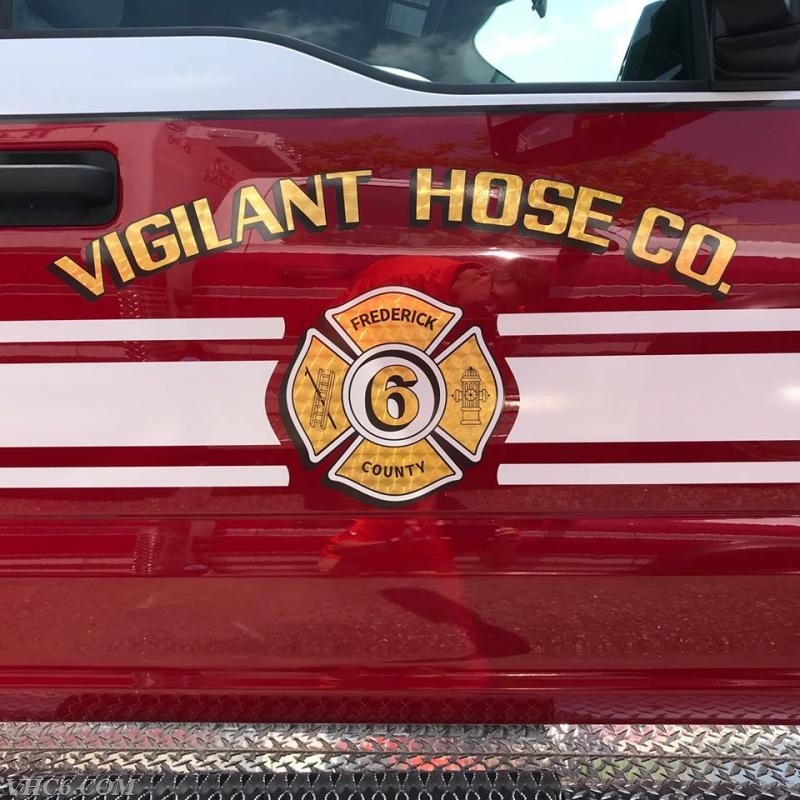 On June 24th 2018 at 1800hrs Vigilant Hose Company placed into service Ambulance 69 (A69). 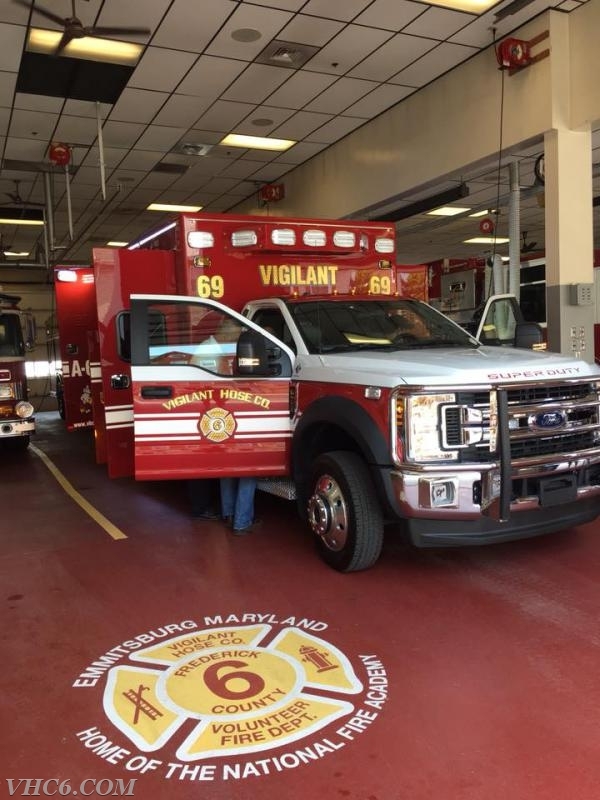 A69 is a 2018 Ford F-550 Road Rescue Ultra Medic built by REV Group of Orlando and designed thru Atlantic Emergency Solutions (Dealer Rep. Brian Griffin). 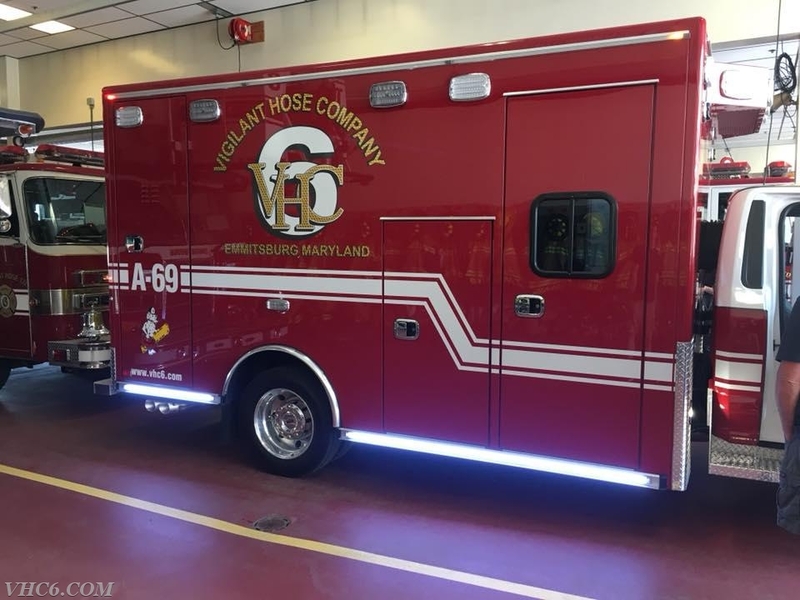 This unit is the first Ambulance under the VHC design scheme since the successful merger of the Vigilant Hose Company and Emmitsburg Ambulance Company. 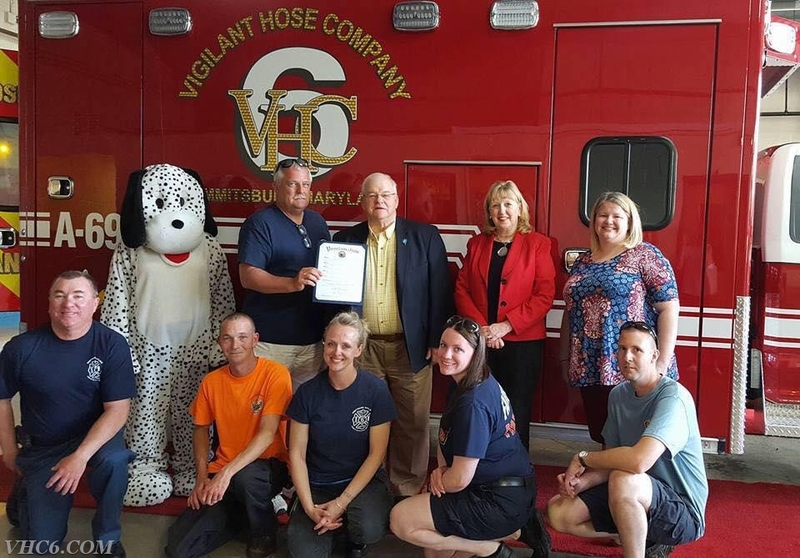 Special thanks to the EMS Committee members, Brian Griffin of Atlantic Emergency Solutions and REV Group Orlando for their hard work in making Emmitsburg's newest ambulance the best possible to serve our community.